While there’s nothing like the dazzle of a fine jewellery watch or the technical wizardry of the best worldtimers, sometimes something a little simpler is required. With their pared back lines and elegant faces, our edit of the best minimalist watches are the embodiment of understated style. 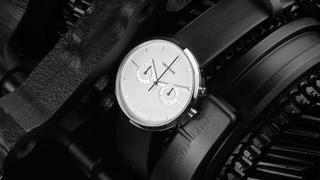 Timepieces don’t get much more simplistic than Greyhours’ classic monochrome Vision Moon. Secondary functions include subdials for the day and date and, should you wish for something with a little more colour, the French calfskin strap can be switched for one of 32 shades. 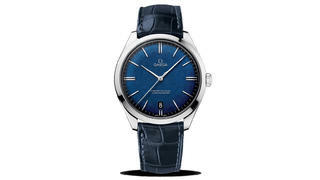 With its chic blue-on-blue colour scheme and slim 40mm case, Omega’s classic De Ville Tresor is a great minimalist watch for both men and women. Featuring delicate white gold hands and markers, its only extra embellishment is a discreet date window. 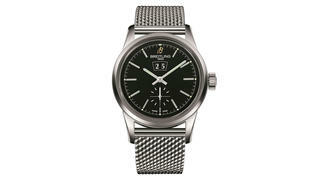 Swapping numerals for discreet markers on both the main and small seconds sub-dial, Breitling's Transocean 38 pairs a steel case with a steel mesh bracelet and black face for ultimate wear-with-anything style. 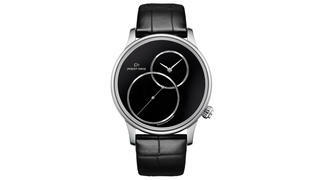 Eschewing numbers and markers for an off-centre version of Jaquet Droz’s signature interconnecting dials, this stainless steel and onyx timepiece also reverses tradition with a seconds sub-dial larger than the main dial. 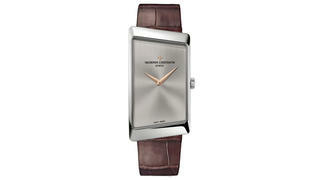 Minimalist needn’t mean boring - as Vacheron Constantin’s unusual asymmetric 1972 Prestige watch shows. Along with its unusual case, the 1972 also mixes metals with a white gold case and rose gold hands, all set off by a subtly engraved silver dial. If you like your watches with a little bling that needn’t stop you investing in a great minimalist timepiece. 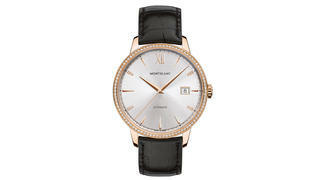 Montblanc’s collections are full of gorgeous, simple watches but, with its subtly diamond embellished case and lightly guilloche patterned dial, the Heritage Spirit Automatic is a real stand-out. A Lange & Söhne is regarded by many as Germany’s most prestigious watch house and is famed for its mechanical prowess and remarkably high level of finish. The Grand Lange 1 features an asymmetric dial layout that has become a classic of modern horological design. The simple, time-only Calatrava wristwatch dates back to 1932 and is considered the quintessential connoisseur’s timepiece. 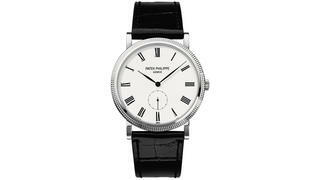 Patek’s hand-wound calibre 215PS movement sits behind the crisp, white, fired enamel dial, while the “hobnailed” case is especially elegant at a conservative 36mm in diameter. 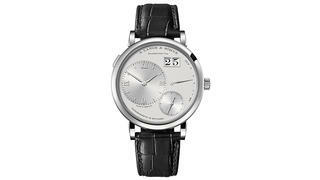 Ralph Lauren’s entry-level men’s model offers a great deal for the money including a chronometer-certified, self-winding movement and a delectable black dial enhanced by classic Breguet-style hands. Six top-mounted case screws lend the watch a distinctive look. Panerai’s Radiomir dive watch can trace its looks – and its roots – back to the 1930s when it was designed for frogmen of the Italian navy. The “1940” refers to the solid (rather than wire) strap lugs introduced in that year. 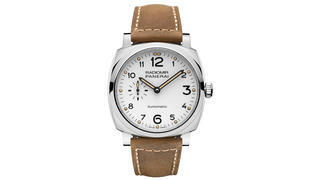 Launched in January 2016, this model is the first Radiomir 1940 to have a white dial. Luxury leather specialist Hermès is also a serious watchmaker these days, with its own manufacturer capable of producing the vast majority of components in-house. 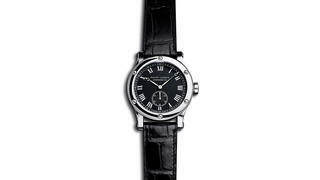 The unusual numbers on the Slim d’Hermès were created specially for it by leading graphic designer Philippe Apeloig.